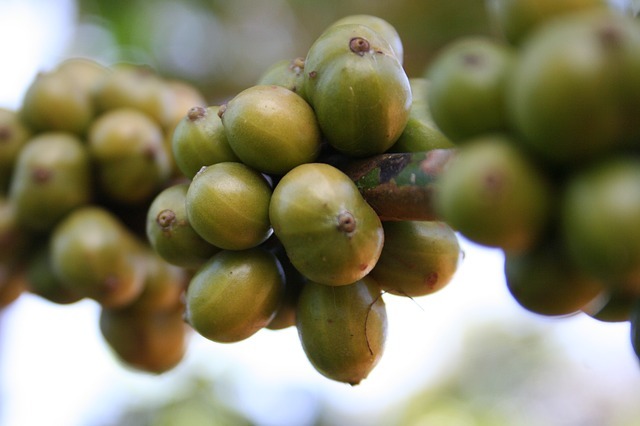 When the seeds of the plant Coffea Arabica are in the unroasted form, they are known as Green coffee beans. They are rich in antioxidants, unlike the roasted coffee beans, where the antioxidants are lost due to roasting. So, green coffee beans are very beneficial for helping you maintain a healthy body. It has lots of health benefits. It is also good for your skin and the hair. Green coffee beans are excellent for increasing the functioning of the immune system. It `reverses the actions of the free radicals in the body and helps your body to get rid of all toxins and other harmful elements. As a result, you will get a blemish free skin that is radiant and without acne or pimples. Green coffee beans are rich sources of fatty acids and esters, which keep the skin well moisturized and nourished. They also prevent sagging and discoloration of the skin, as well as other damages of the skin. Consuming green coffee beans is an excellent way to reduce the effect of free radicals in the body. This is almost 10 times more effective than the effect you get by consuming green tea. Since they are not roasted, they are more beneficial as they contain antioxidants like Ferulic acid and other such polyphenols. These slow down the process of ageing and provide you a skin that is young and beautiful. Green coffee beans are rich in volatile materials as they are not roasted. Some of the ingredients contained in this bean like Gamma-Aminobutyric acid, Epigallocatechin, Theophylline and so on help in keeping your skin healthy and prevent wrinkles from appearing on the skin. You can treat ‘female pattern hair loss’ called androgenetic alopecia with green coffee beans. The extract of this bean can help in making your hair grow fast as well as thick and long. The antioxidants present in green coffee beans are beneficial for your hair also. It removes all toxins are other substances that may cause damage to your hair and provides you a strong and healthy hair that is shiny and beautiful. If you are feeling low and drained of energy, try having green coffee beans. This can greatly increase your energy and help you remain active and in high spirits throughout the day. This is because of the presence of caffeine in them. The presence of Chlorogenic acid in green coffee beans helps in enhancing the metabolic activities of the body. Having green coffee beans regularly help in reducing the over release of glucose in to the blood from the liver by increasing the Basal Metabolic Rate of the body. As a result, due to the lack of glucose in the bpdy, your body will start burning the fat cells stored in the body to get glucose. Due the burning of fat in the body, you are able to get rid of a few kilos of your body weight. So consuming green coffee beans is a good way to lose your weight. When you suffer from high blood pressure, you are at the risk of various diseases like heart failure, stroke, chronic renal failure and so on. Researches made on green coffee bean have shown that it contains an ingredient very similar to aspirin, which can protect the blood vessels and prevent the clustering of platelets of the blood. This prevents the arteries from getting hardened and maintains proper flow of blood through the body. Kelp, which is a kind of seaweed, is found in high quantities in green coffee beans. Kelp is a rich source of minerals and vitamins. So consuming green coffee beans helps in providing all essential nutrients needed by your body. Moreover, it burns extra fat and calories in your body by boosting the metabolic activities of the body. Being a rich source of antioxidants, green coffee beans help in fighting against the free radicals formed in the body and thus greatly reduces the damages caused by these free radicals. An ester of caffeic acid called Chlorogenic acid is found in raw unprocessed green coffee beans, which is a strong antioxidant. It helps in protecting the cells of the skin and also aids in controlling the levels of glucose in the blood. Having green coffee beans is an excellent way to control the level of bad cholesterol in the body. LDL or bad cholesterol is the main cause for various cardiovascular problems in humans. Cardiac arrest is also due to the deposit of LDL in the body. Studies made on green coffee bean have shown that it can greatly reduce LDL in the body. If you are worried about your frequent hunger pangs, consume green coffee beans regularly. This has the ability to suppress your hunger pangs and prevents you from overeating. As a result, your body will burn the fat deposited and thus reduces your weight. The extract that you get from green coffee beans has the ability to reduce the high levels of sugar present in the blood and also help in losing weight fast. This helps in curing Type 2 diabetes. Green coffee bean extract is an excellent natural detox. It helps in getting rid of toxins, bad cholesterols, unwanted fats etc from the liver and cleanses the liver. As a result, the liver will start functioning more effectively. This leads to improved metabolism and your general health. I am consuming green coffee made from green coffee beans two times a day. One cup 30 mins before breakfast nd one cup 30 mins before dinner. But the problem i am facing is i am having acne on my face. It is the side effect of green coffee. Should i reduce the amount of it.? Please help.